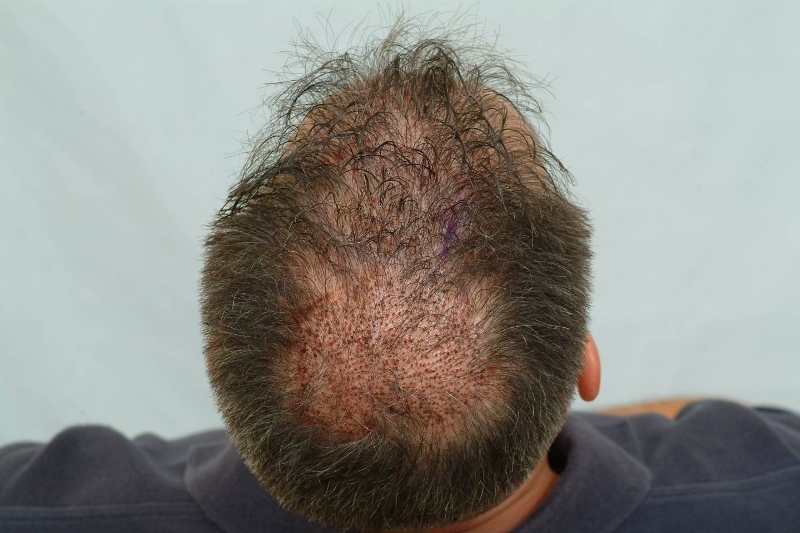 Here is a class V patient who came to our IHTI in 05’ to restore his frontal scalp and crown area. 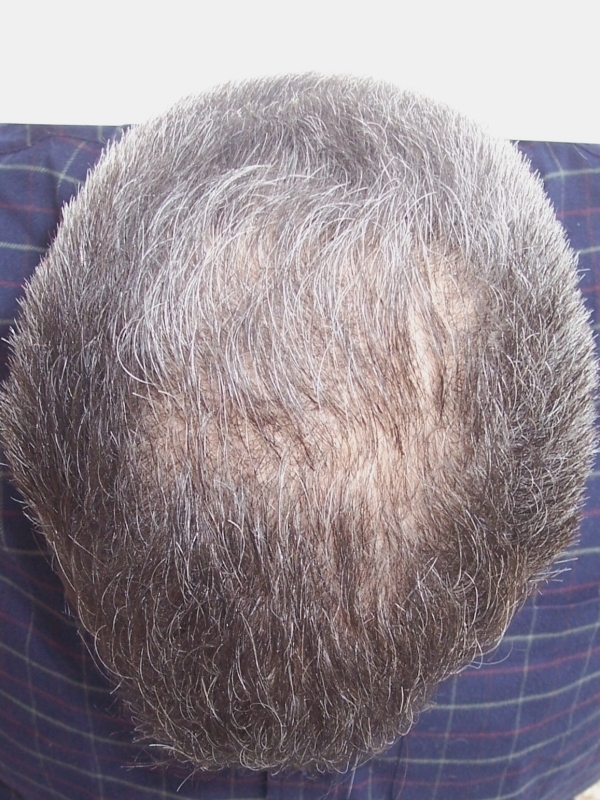 This patient naturally has salt-n-pepper hair with a medium coarse thickness which generally allows for a fuller overall appearance. 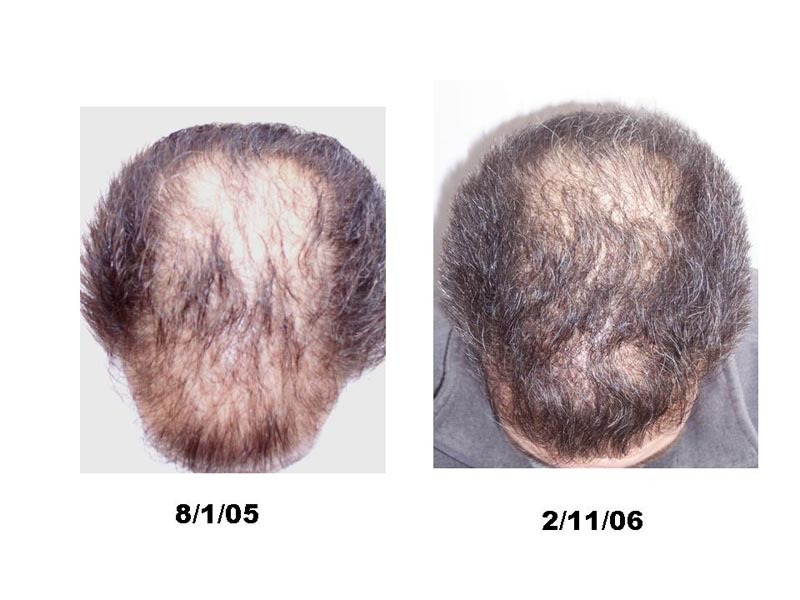 Approximately 2700 grafts were placed over two sessions from 05’ and 06’. 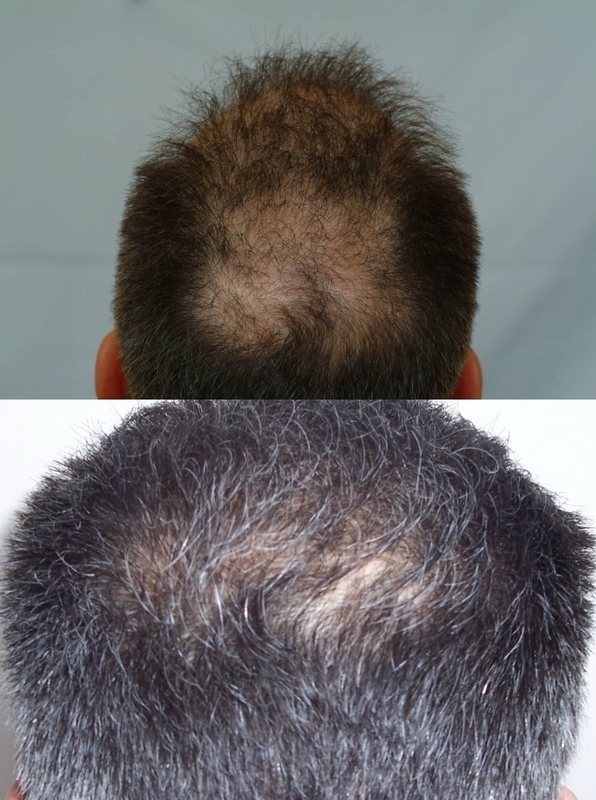 The crown was treated by Dr. Cole with 700 grafts and 2000 grafts to the front. 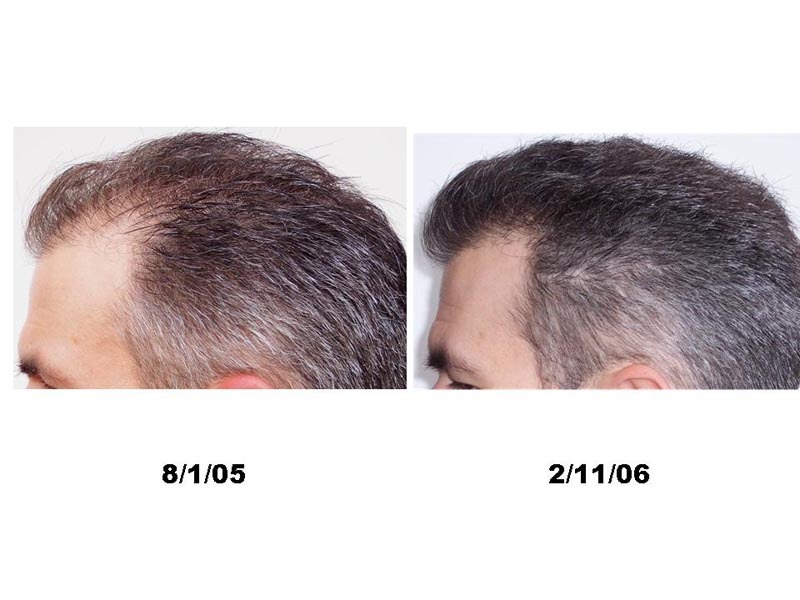 In 2007, this patient began utilizing Propecia for the first time to help maintain native hair on his crown. The most current photos were with sunlight exposure and the original pre-op as well versus the pre-ops taken indoor at our clinic. The patient had significant improvement at just 6 months post-op and his results are more ideal at 27 months. Nice pics. Not bad for only 700 to the crown. He still has bald scalp showing. » He still has bald scalp showing. 1: Your comment is a joke! 4: Oh, I only had three possibilities. Why do 99% of these cases show the recipient combing his hair straight back? At least 50% of us like to part our hair on the side. We’re not all Fonzies. » back? At least 50% of us like to part our hair on the side. » We’re not all Fonzies. 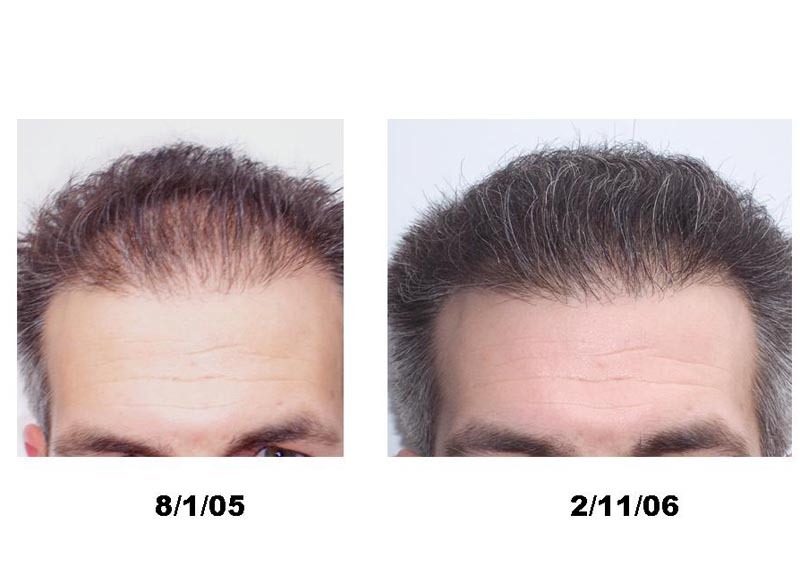 I believe that it creates consistency in showing the importance of great hair line work. If individuals could have the option to part their hair then they could consider themselves lucky after the fact that they have a natural looking hairline. I like this bang for the buck. Good work! Also the comb over from the side or side parting can exaggerate the density because of the lay of the hair. Nice result, any reason he didn’t go for more? » » He still has bald scalp showing. » 1: Your comment is a joke! » 4: Oh, I only had three possibilities. Thanks for the honest pics. Good growth. Does he have more 27 months pics. Pls keep us updated.